I love singlespeed riding. Absolutely love it. But the one thing I’ve always had a tough time with is brake levers. I’ve tried the Tektro levers, which came stock on my Langster. Never quite felt right to me; a little too wide. Same story with the Cane Creek ones, which makes sense, since they’re basically the exact same thing. I rolled with a pair of gutted Ultegra shifters for a while, and they were actually pretty good, but they’re low on looks and had poor crash survivability. 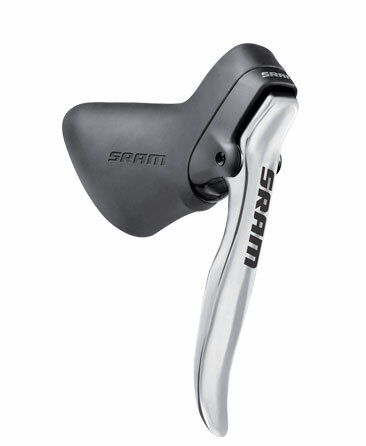 I’ve also run the Shimano “Aero” brake levers for a few years, and I’ve lived with them, but they’re a bit pointy and narrow for me to endorse. I know Campy makes some sick looking Record carbon levers, but they’re at least 2 bills. 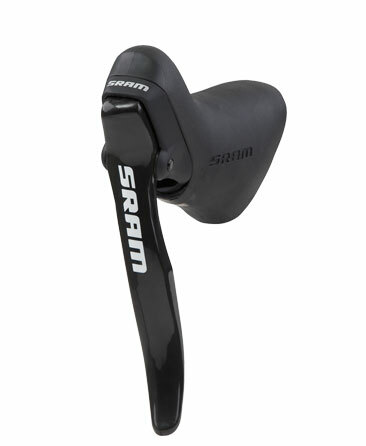 SRAM I love you. You are here to save the day with the introduction of your 900 and 500 Single Speed Brake Levers. The 900 is carbon; the 500 is journeyman alloy. Both are currently in production and will be available in late November/early December. MSRP on the 500 is $75, and the 900 will set you back $120. I’m in. Soooo hot. Want to touch the hiney. I Do want to touch the hiney. Can't wait to get my hands on a pair. The 900's are a bit pricey, but ou la la! Just to follow up – I presently own both, and they are super awesome.